Steven Parker is joining Crypterium, and the team is delighted for an opportunity to benefit from his expertise in a variety of fields, including business development, customer analytics, marketing and product innovation. Steven worked broadly in many different industries and achieved considerable success in all of them. His experience in innovation and technology (Visa, Experian), strategic consulting (Booz-Allen) and hospitality (Holiday Inns) is valuable and useful for Crypterium. Steven’s knowledge of retail financial services (HSBC, Royal Bank of Scotland, Standard Chartered), risk-based customer engagement and decision-making in a digital world will play a significant role in achieving Crypterium’s primary goals. Steven brings with him a wealth of experience from both payments and consulting and is a very respected figure in the world of banking. 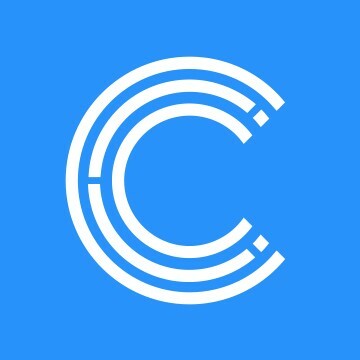 Crypterium won’t be the only company to benefit from his enthusiasm and knowledge base, the whole crypto industry is in need of such allies. Crypterium’s new CEO has lived and worked in many different places across the globe, including the UK, France, Hong Kong, Singapore and Russia. His leadership skills and his fascinating life experience should be well accepted and praised in the diverse crypto community. Now he is eager to get started and make a difference. “Navigating people and businesses through periods of complex change, to help deliver improved performance is my passion, and that’s what makes my new role at Crypterium such an attractive challenge for me,” Steven says. “The cryptocurrency market is a really exciting space at the moment. I believe it is going through a very interesting time, coming out of a speculative environment and maturing, letting serious players continue to build attractive customer propositions,” he explains. “Steven’s presence will make sure that we build an organisational structure that not only meets the needs of our customers but equally meets the needs of regulators and services partners. Additionally, His deep and wise knowledge of the global financial industry will strengthen our company’s position on the global stage” says COO and co-founder Austin Kimm. Austin added that Crypterium is grateful to Marc O’Brien for his service, his leadership was marked by prosperity and success; however, now it's time to expand and make new steps towards achieving Crypterium’s main targets with Steven.